Time For Us To Consider Moving Home? Each week we seem to be buying something for Nicole this could be topping up of nappies or just toys to keep her entertained during the weekday while I am at work. If we have nothing to buy we generally enjoy having a wonder around just browsing at things we need to buy soon like high chair, jumperoo etc.. Weekends have changed for us completely from eating out lots to simple family day for us and trying to do things that generally don't cost much. Just last week we brought a Joie travel cot / play pen for her as she is very close to sitting up and I need something to put her in when I am doing bits around the house as we also have little Tula. 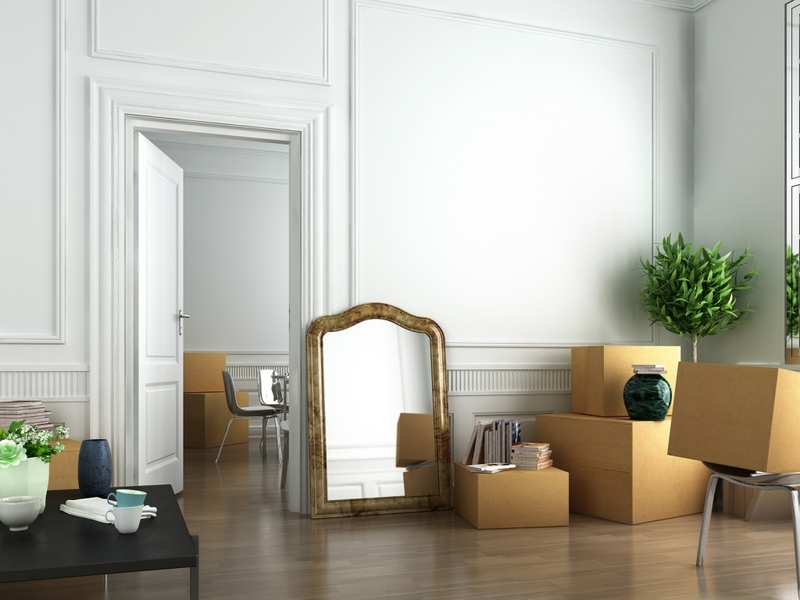 With all the baby stuff slowly building up it would be wise for us to start looking at the cost of moving houses as we will outgrow our apartment very quickly. The thing that stresses me out the most with moving is the word "chain" we need to sell our place in order to move and the place we buy may need to sell their place so the "chain" goes on and on unless of course there are first time buyers / cash buyers in the mix to speed things up slightly. Even writing this post out it's making me want to put this thought to the side for now!!! Everything costs money and very quickly everything adds ups so whilst I would like to move sooner but the cost of it is just too much for us right now and where ever we move to we would need put another big chunk of deposit in to make all the figures work. 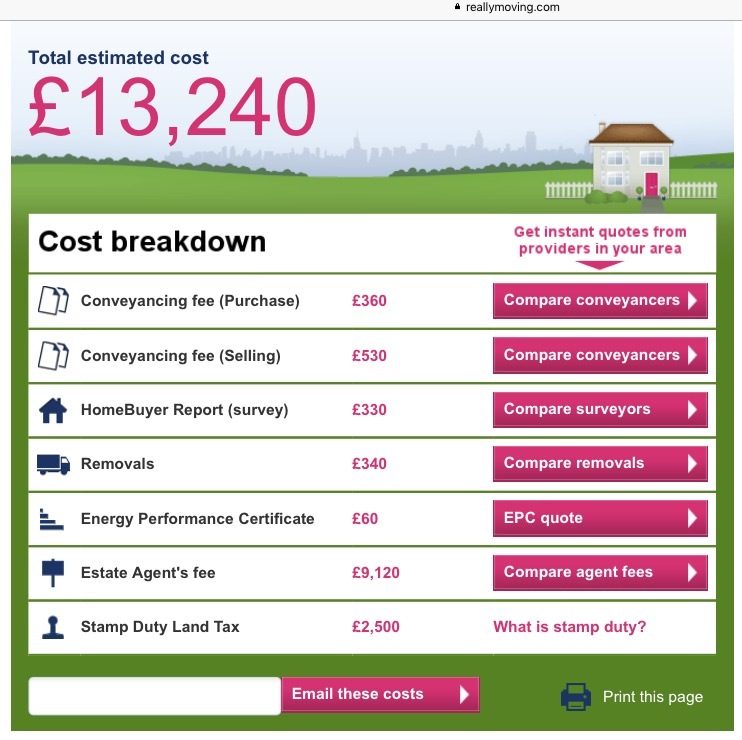 This is on top of solicitor fees at least £1k then you got additional search charges etc, stamp duty, removal fees £200-£250, estate agent fees for selling 3-4% of selling price, decorating fees £3k assuming certain parts of the house would need tidying up (new carpets are a must) and additional spare cash for unexpected costs which may arise £1k. We will also have nursery fees this time next year when I plan to put her in part time. For those who have never done this and you have no idea where to start then Reallymoving.com have a really useful Cost Of Moving House calculator you can use which gives you a rough idea of the cost of everything. The figures below is based on the figures I inserted in for the value of my current property, value of the new property and the estate agent fee % and the distance of the new property from the current one and it's showing estimated cost is a whooping £13,240! You can then click on the links on the right to compare the various prices. Having done this twice my best tip is haggle, haggle, haggle! Always go with recommendations before you google around that way you can relax and not worry. Knock them down in price / get a few quotes as a rule always get 3-4 quotes and ask people who have moved roughly what they paid so you know if you are getting over charged or not. If you don't have time like me try and find a place where minimal needs doing eg: avoid having to put in a brand new kitchen or bathroom yourself go for somewhere where you will just need to get a coat of paint / new carpets. Lets be honest with a kid now there is no time / energy to be project managing a brand new kitchen I am too busy at work earning. Create a list of essentials / desirable - what things you can do yourself and get friends / family to help out to save. Don't go for a property that you are not 100% sure about as little things like this will bug you later on once you are settled. Make sure you are really sure before making an offer. Maybe move away from the traditional estate agent and perhaps look at sites such as purplebricks where you just pay a one off fee. Lastly my favourite site for keeping track of properties on the market is YourMove so make sure you sign up for alerts in your price range / location.